Update 8/1/11: DesktopSMS is now just DeskSMS. 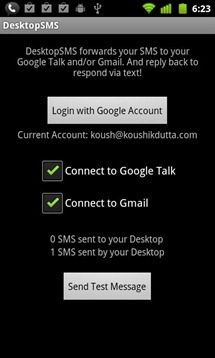 There are quite a few "remote SMS" apps on the Market, but none quite like ClockworkMod's DesktopSMS. Instead of the usually browser plugin, or dedicated web interface front end, DesktopSMS takes a versatile and familiar approach: Gmail. The app will intercept your incoming SMS messages and forward them to either Gmail, Gtalk, or both, so you can reply from your computer or tablet. Once the sent message hits the receiving end, it looks as if it came directly from your phone, so there's no confusion. 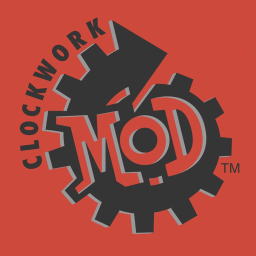 DesktopSMS is currently in open beta, so there may be some bugs - hit up ClockworkMod's official Facebook page if you run into any issues!